With the temperature dropping you may not be in the mood for a salad but still want to get your veggies in. This time of year is great for hearty soups. My favorite is to throw a bunch of vegetables together and see how it comes out. I love adding root veggies like carrots with cruciferous vegetables like cabbage. The more color you can incorporate the better. So add those veggies! This soup is super easy and will keep you full with all the fiber and nutrients it offers. I find that soups are often better the second day after they are made. This soup is no exception so maybe wait a day or two to dive in. Try it tonight! Thyroid conditions are becoming a big concern for Americans. If even if you are not experiencing symptoms it is imperative that you get your thyroid checked. Everyone can benefit from a thyroid screening. The following blood tests will give you a comprehensive look at your thyroid health. 1.THYROID STIMULATING HORMONE (TSH) TESTS – This test measures the levels of the Thyroid Stimulating Hormone (TSH) in your blood released by your pituitary gland. A HIGH TSH means the pituitary gland is releasing its hormone to get the thyroid to product more thyroid hormone. This shows the thyroid UNDERACTING due to a problem affecting the thyroid (HYPOTHYROIDISM). A LOW TSH means the pituitary gland feels there is too much thyroid hormone in the blood and will slow or stop releasing TSH. Thyroid production will then decrease. This means they thyroid is OVERACTIVE and is producing too much thyroid hormone (HYPERTHYROIDISM). TSH is a golden standard for diagnosing and managing hypothyroidism but there is some controversy on how to measure and interpret the results of the test. A TSH LESS than 0.5 would show an overactive thyroid or HYPERthyroidism. A TSH GREATER than 5.0 indicated an underactive thyroid or HYPOthyroidism. A TSH LESS than 0.3 would show an overactive thyroid or HYPERthyroidism. A TSH GREATER than 3.0 indicated an under active thyroid or HYPOthyroidism. So if your doctor says your test is “NORMAL” you may want to get a copy of the results to see for yourself. This could be one reason why so many Americans go misdiagnosed for years before finding out they have a thyroid condition. You should find out what your exact TSH result is, what reference lab values are being used to determine your results, and what TSH range they follow. The body’s defense against bacteria and foreign invaders are antibodies. However, sometimes your body mistakenly attacks its own cells resulting in autoimmune disease. This is the case with some thyroid disorders. Antibodies will attack and damage the thyroid. The thyroid antibody tests show if there are a lot of thyroid antibodies are floating in your blood and determine the health of your thyroid. -Thyroid peroxidase antibody (TPO) are the most common test for detecting tissue damage and autoimmune thyroid diseases like Hashimoto’s thyroiditis, Graves disease, postpartum thyroiditis or other forms of thyroiditis. -Thyroglobulin antibody (TGAb) is an antibody that targets thyroglobulin, which is the storage form of thyroid hormones. This test is performed to see if there is Hashimoto’s thyroiditis or thyroid cancer. -Thyroid stimulating hormone receptor antibodies (TSHRAb) consist of of 2 types of antibodies that stick to the outside of thyroid cells preventing TSH from getting to the thyroid. -Thyroid stimulating immunoglobulin (TSI) this antibody sticks to thyroid cells and can lead to HYPERTHYROIDISM. This is ordered when a person shows signs of of hyperthyroidism and is used to determine if they have Grave’s disease. The higher the levels the more active the Grave’s disease has become. You should note that the ascent of TSI antibodies does not mean you are not at risk for Grave’s. Some people with Hashimoto’s will also have periods of hyperthyroidism and present with TSI antibodies. – Thyroid binding inhibitory immunoglobulin (TBII) prevents TSH from getting to the thyroid cells and can result in HYPOTHYROIDISM. Thyroid Peroxidase (TPO) and Thyroglobulin antibodies (TGAb) are the most common antibodies to be tested. TPO antibodies that are within range are considered normal with a lower possibility of getting Hashimoto’s thyroiditis. POSITIVE test results with TPO and/or TGAb thyroid antibodies in the blood of a person with hypothyroidism mean they have Hashimoto’s thyroiditis and Graves disease. For a person with these antibodies and hyperthyroidism they are likely to have autoimmune thyroid disease. For those diagnosed with Graves’ disease and elevated TGAb antibodies could put you at risk for hypothyroidism. NEGATIVE test results means there are NOT any antibodies in your blood at the time of test. However, there are some individuals who have autoimmune thyroid disease and do not have any antibodies present in their blood. While even some healthy people may have thyroid antibodies in their blood. Antibodies increase with age are and are higher in women. If you test positive for thyroid peroxidase antibodies, it may indicate an increased risk for thyroid disease in the future and should be monitored overtime to see if they become elevated. Typically, if you see antibodies it means an autoimmune disease is present. This means that the higher the level of antibodies the more likely you are to have an autoimmune disease. It is also important to know how your levels are changing over time. An increase in antibodies will tell you how if the condition is progressing over time. If thyroid antibodies are found in a pregnant woman this increases the risk of the baby developing hypo- or hyperthyroidism. If your antibody test comes out NEGATIVE and you have an under- or overactive thyroid condition you still may be at risk for a thyroid autoimmune disease. This is because antibodies can develop over time. That is why it is important to monitor your thyroid condition with antibody testing. If your antibody levels are somewhat ELEVATED you may be at risk for conditions like thyroid cancer, type 1 diabetes, rheumatoid arthritis, pernicious anemia, and autoimmune collagen vascular diseases. Antibody tests may not always work with thyroid cancer since thyroglobulin antibodies can provide false results. So other tests should be used to monitor thyroid cancer progression. The levels of thyroglobulin antibodies can mask thyroid cancer progression, but the change in level of these antibodies can be used to monitor cancer treatment is working: decreases show the treatment is working while an increase in antibodies shows it is not effective. Thyroxine is a thyroid hormone. Thyroxine tests evaluate the heath of the thyroid by measuring the level of hormone produced. This test diagnoses conditions like hyperthyroidism and hypothyroidism, when TSH levels are abnormal. -Total thyroxine (T4) – Total thyroxine (T4) constitutes for the most abundant form of thyroxine in the body. Free thyroxine (Free T4) is the smaller amount of thyroid hormone not bound to any molecules so it is free floating. Since total T4 is bound to protein it is affected by protein levels and is not as an accurate measure of T4 hormone as Free T4. Free T4 shows how much hormone is immediately available for your body to use which is why it is a better measure of hormone levels. -Free thyroxine (Free T4) – Free T4 tests can help to find how much thyroid hormone is being produced, hyper- or hypothyroidism as well as distinguish a type of thyroid disorders, diagnose pituitary disorders, help to diagnose infertility in women, monitor the treatment of thyroid disorders, and monitor thyroid treatments, pituitary disease, and thyroid cancer in those whose tumor respond to TSH. HIGH levels of Free T4 may indicate HYPERthyroidism. LOW levels of Free T4 may indicate HYPOthyroidism. Regardless of whether your T4 is high or low, abnormal lab results indicated that there is a problem with the thyroid. T4 tests can also determine whether the thyroid condition resulted from a problem with the thyroid or the pituitary gland based on how much TSH is present at the time of the test. LOW T4 could mean a thyroid or pituitary gland condition is responsible for hypothyroidism. The thyroid is responsible if T4 is LOW and the TSH is HIGH. The pituitary gland is responsible if both T4 and the TSH is either LOW or HIGH. 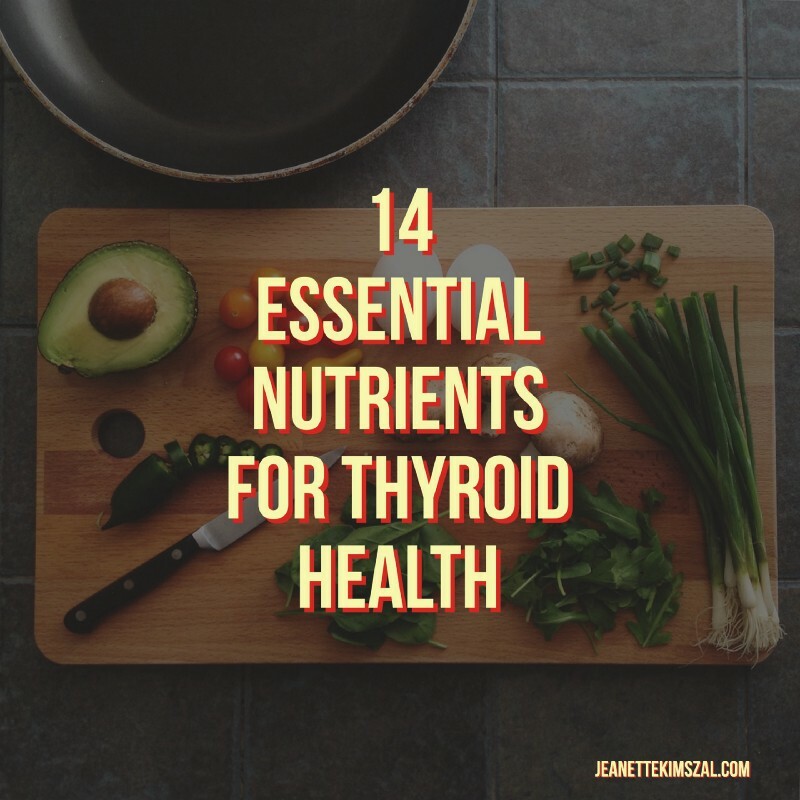 Some health professionals feel that if your free T4 is not in the top half of the reference range means it is not a healthy number and could show signs of thyroid disruption. If your pituitary gland is the problem you want to work with your doctor to determine treatment options. Triiodothyronine is another thyroid hormone that can be measured to determine thyroid dysfunction. Like T4, T3 is produced when the pituitary gland releases TSH. There are 2 types of T3: Total T3 (T3) and Free T3 (Free T3). T3 is attached to a protein compound and free T3 is flows through the body unbound to any substances. Like T4, Free T3 is thought to be a better measure of thyroid function than Total T3. LOW levels of Free T3 indicate HYPOthyroidsim. These tests are useful in determining hyperthyroidism and its severity. In some individuals with a low TSH, only the T3 is elevated and the FT4 or FTI is normal. T3 testing rarely is helpful in the hypothyroid patient, since it is the last test to become abnormal. Patients can be severely hypothyroid with a high TSH and low FT4 or FTI, but have a normal T3. In some situations, such as during pregnancy or while taking birth control pills, high levels of total T4 and T3 can exist. This is because the estrogens increase the level of the binding proteins. In these situations, it is better to ask both for TSH and free T4 for thyroid evaluation. Some integrative medical professionals argue that T3 levels are not optimal if they are not in the top half or even top quarter of the reference range. This is something to ask your health care provider about when getting test results. Typically this test is used along with the thyroid antibodies test to determine hyperthyroidism and Grave’s disease. It is also used to monitor existing thyroid conditions. This test measures the other form of T3 found in your body. Reverse Triiodothyronine or RT3 RT3. It is an inactive form of T3 hormone is unable to carry oxygen and energy to cells like T3 does. Integrative professionals will feel is a better indicator for diagnosing, treating, and monitoring thyroid conditions specifically HYPOthryoidism. RT3 is of interest to integrative doctors because they feel that elevated RT3 levels reflect a hypothyroidism even when the T4, T3 and TSH values may be within normal range. If you have normal thyroid levels but still suffer from low energy and poor metabolism you may want to check for elevated RT3 levels. Different labs will have different values. It is best to talk to your health provider about results of your thyroid test. If you want nutritional help with your thyroid you can contact me HERE!